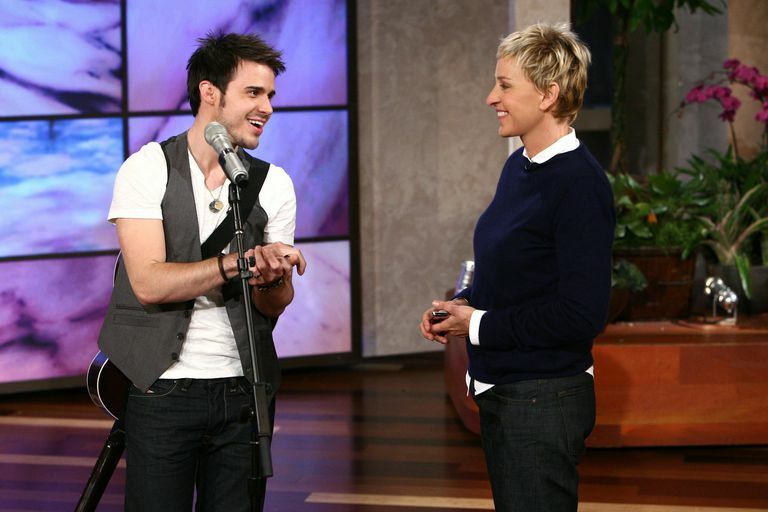 American Idol winner Kris Allen and talk show host Ellen DeGeneres. Celebrities are often invited to be guests on talk shows, but what about the rest of us? How can we get on a daytime hit like "The Ellen DeGeneres Show"? While getting free tickets to sit in the audience is easy, becoming a guest on "Ellen" is a little more complicated. Comedy is all about looking at real life and twisting it into a funny narrative. This is what makes every episode of "Ellen" so compelling. Even when the story is tragic, she somehow finds a way to brighten up the mood and look at the positive side. Sometimes, that involves giving guests a well-deserved surprise gift or something that has the potential to be life-changing. The point is that in order to be invited as a guest, you need to have a great story. Cute kids, military families, struggling single moms, or anyone who has persevered, overcome, or who is simply innovative and unique, these are the guests you will see on "Ellen." First of all, you have to understand that "The Ellen DeGeneres Show" has a large staff that is scouring news headlines and social media for candidates to be on the show. It's not just Ellen herself. Secondly, simply sending your story to the show is not necessarily going to get you an invite. However, unlike many talk shows, "Ellen" is really interested in hearing from viewers. 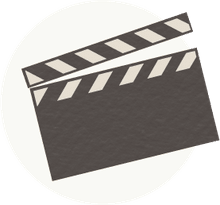 If you browse through the "Send to Ellen" page on the show's website, you will discover countless opportunities to share your story. Some simply ask for funny videos or pictures while others ask for complete stories. For instance, they have a regular call out for military families and people doing great charitable work in their communities. If you can write a compelling short story, share it with them. Did your local news station or paper write something up about the good deeds you or someone you know did? Be sure to include the story in your message. The producers are continually scanning the local news outlets for human interest stories that will work on the show, so a little backup can't hurt your cause. The show and Ellen have a serious soft spot for kids. It's even led some people to say that having children increases your odds of getting on the show. Even if it's just a video of your toddler discovering a new food for the first time, the video might actually get on TV (even if you don't). The other venue that the show's producers turn to is social media. Quite often, they will pick guests from viral videos and photos on YouTube, Facebook, and Twitter. If you're sharing those funny moments and they're funny enough, you may just get a surprise email from "Ellen" someday. The one thing to remember is that there is never a guarantee that you'll get on "The Ellen DeGeneres Show." Television is a tough business, schedules are tight and constantly changing. There are a few stories circulating that tell of the producers contacting someone and in the end, they weren't invited. In no way does this mean your story wasn't worth it. Quite often, it's simply a matter of time and too many great stories to choose from. Most importantly, though, you need to remain genuine. Don't inflate your story or spin falsehoods into it. Also, try not to be too pushy or your name may be flagged in the wrong way. How Did Johnny Carson Jump Start Ellen's Career? So You Want to Be a Guest on "The Jerry Springer Show"
Which Daytime Talk Show Host Makes the Most Money? Who Are Some Popular Gay TV Talk Show Hosts?